You are in Project mode. 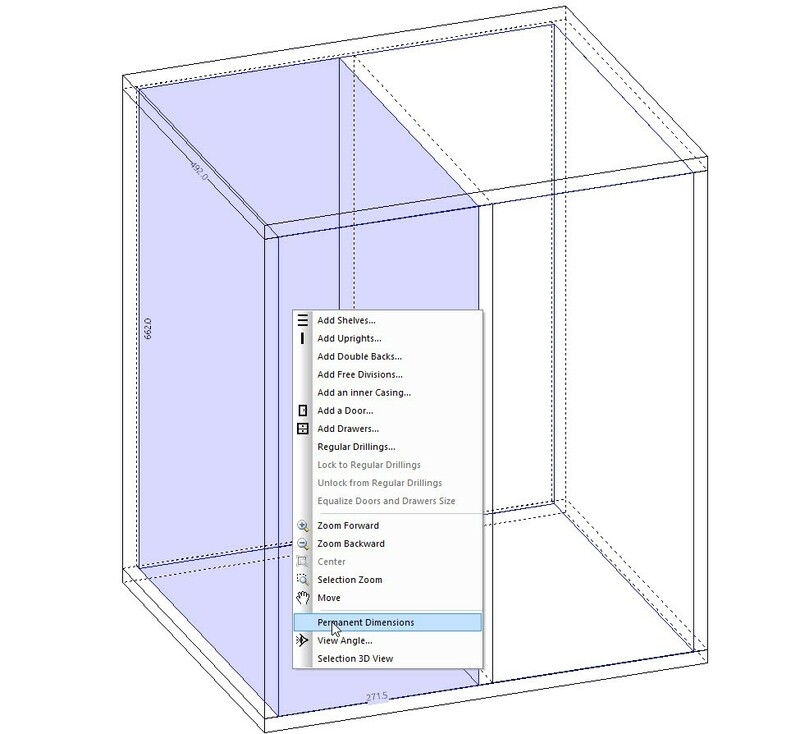 It’s not possible to display the inner dimensions of a cabinet in Project mode. My previous reply only works in cabinet mode. The only way to get dimensioned plans of a project is to export to a CAD program like SketchUp or Draftsight, AutoCad etc. Sorry about this, we are working on changing this in the next version. Hi Ness, thanks for your help. 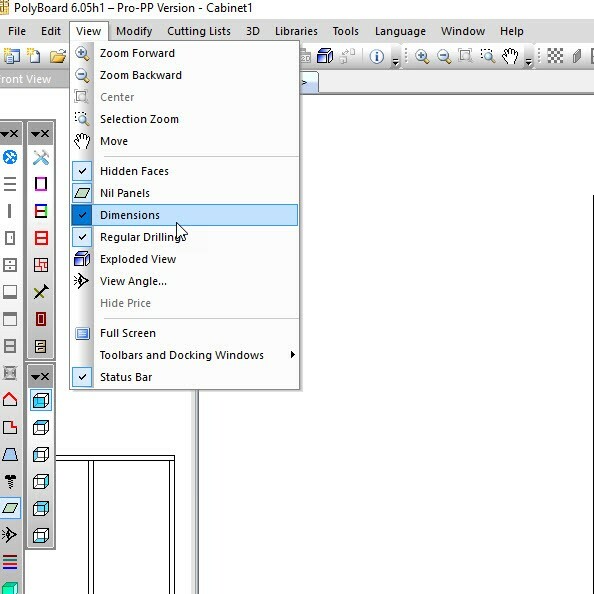 My view menu is slightly different to yours but I think I’ve ticked what I need to and when I double click the cabinet I can see the dimensions but when I print I get what I’ve attached as Jimmy1. Go to the View menu and make sure Dimensions is active. Click in an inner volume to select it and show the inner dims. Click right and select “Permanent Dimensions” . 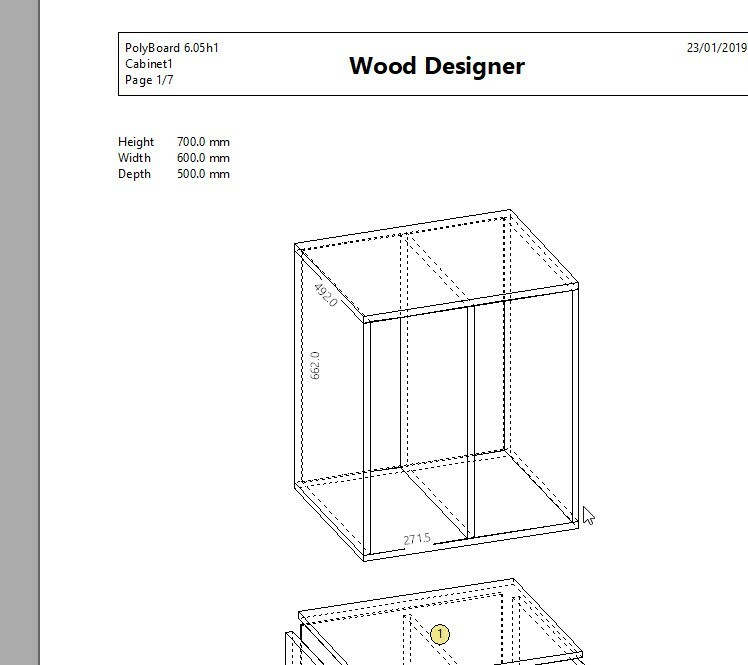 I know I can get exterior cabinet dimensions but is there a way to show the distance say from a shelf to a hanging bar. I need to be able to show these details on something I can email to a client.